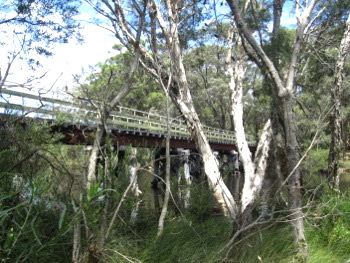 The Wilson Inlet Heritage Rail Trail stretches from the South Coast Highway in the east along North East side of the Inlet, past Crusoe Beach, across the river on the north side of the river) and continues through the forest and valleys to Nornalup in the West. 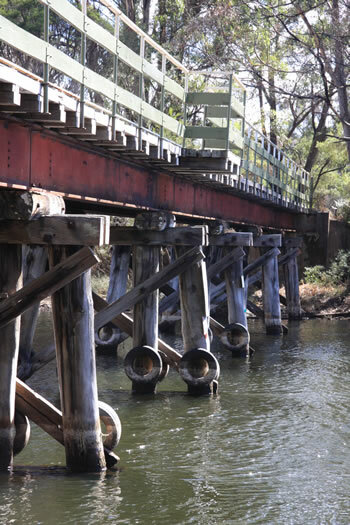 The Heritage Rail Bridge is easily accessed from Denmark Town driving south along the river (Hollings Drive) where you will find parking spaces, picnic tables and a gazebo set for tourists. 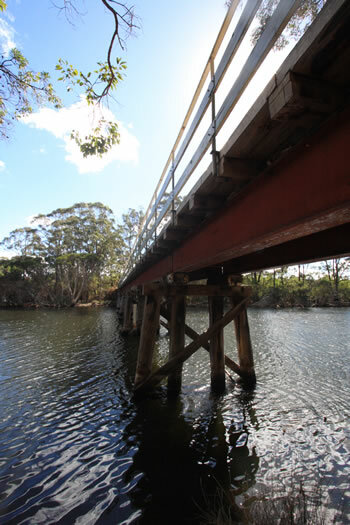 Take a stroll across the bridge and along the trail on the north side of the Inlet. 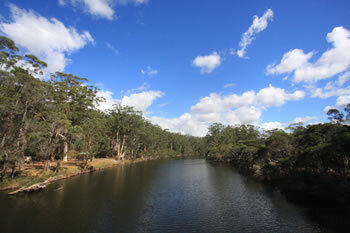 It is also a lovely walk along the river either from town, or down to the river mouth along the Mokare Heritage Trail. There is a parking at the rivermouth where you can frequently see flocks of Black Swans and Pelicans. 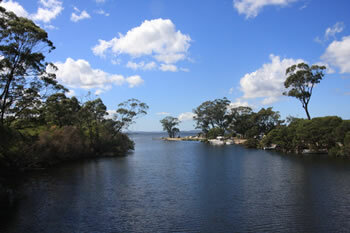 Wonderful views of the mouth of the Denmark River where it empties into the Wilson Inlet. Heritage Bridge from the Mokare Heritage Trail. 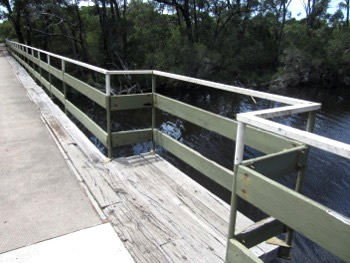 Denmark River lookout from the Bridge. 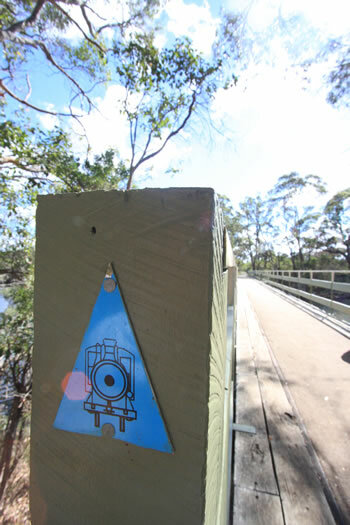 The Heritage Rail Trail walk is a 10km return walk, bike ride or horse ride along the northern shores of the Wilson Inlet from the Rail Bridge to Crusoe Beach. 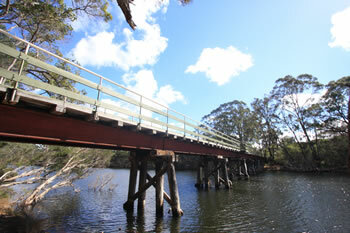 This trail is now part of the Munda Biddi Trail, a world-class biking trail. 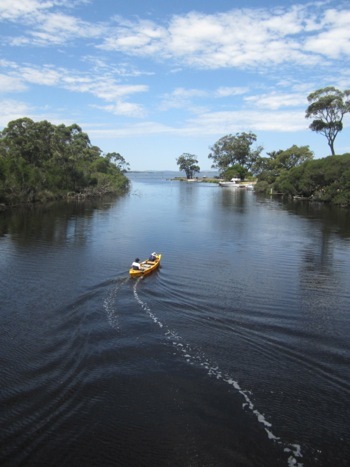 Home to the Black Swan, Western Australian Pelicans, and Red Tailed Black Parrots the Wilson Inlet and the Denmark River are havens for birds from both hemispheres. If you are in to exploring, several Aboriginal Fish Traps and Shelters are located along the trail on the north side of the Inlet. Each shelter is signposted along the walk. 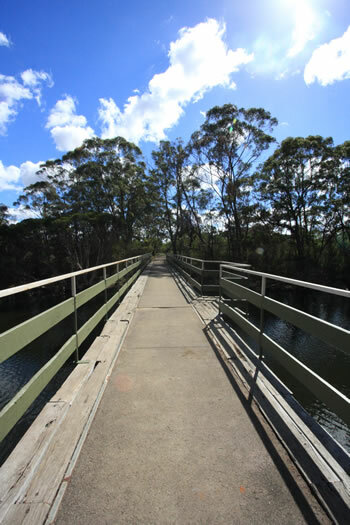 Alternatively, cross the bridge and walk back to Denmark along either side of the river along the Mokare Heritage Trail. 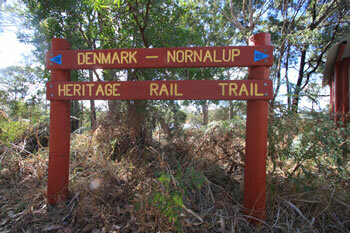 The Heritage Rail Trail meets the Mokare Heritage Trail at the mouth of the Denmark River.